We appreciate your interest in Eastern Wyoming College. Eastern Wyoming College does not collect personal information about visitors to our Website unless you choose to provide that information to us. Eastern Wyoming College does not sell web visitor information. 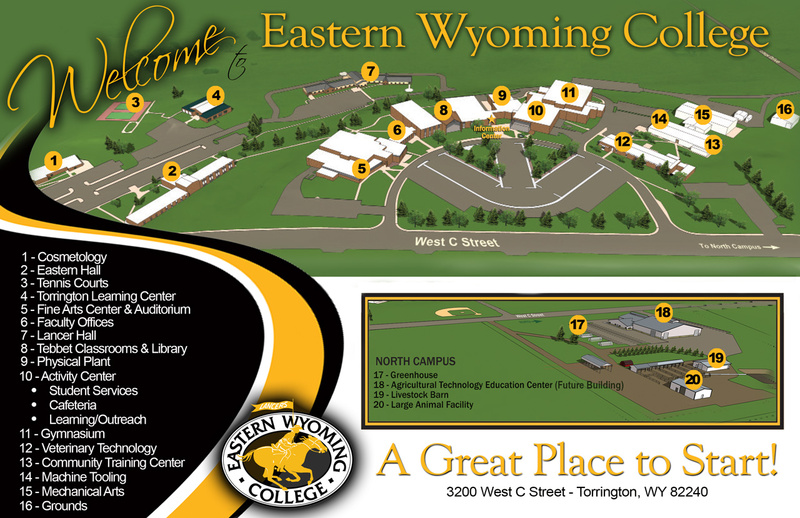 Eastern Wyoming College automatically gathers and stores the following information about your web visit. This information is stored only to track the use of our Website and improve it. This information will not be used to contact you personally. Eastern Wyoming College will only collect personal information which you knowingly and voluntarily provide. Some examples include applying for admission, requesting information or registering for classes, events, or other programs, purchasing merchandise, or signing up for mailing lists. All information collected on the ewc.wy.edu Website will be treated the same as any written communication and is subject to the confidentiality and public disclosure provisions of The Family Educational Rights and Privacy Act (FERPA) (20 U.S.C. § 1232g; 34 CFR Part 99). Users may choose to pay for EWC services online with a credit card. These transactions are commercially secure and access to the data is highly restricted. Eastern Wyoming College is not responsible for the privacy practices or the content of non-Eastern Wyoming College websites. These links are provided merely for informational purposes and not intended to be an endorsement of the non-Eastern Wyoming College website or its content.